ANNOUNCING THE WINNERS OF THE FIRST EVER GLOUCESTER SURFING COMPETITION! The Lake Atlantic Invitational Surfing Competition, Gloucester’s first ever competitive surfing event, was held today at Good Harbor Beach. The competition was sponsored by UMass Amherst Surf Club. Thanks so much to Bill Wrinn for providing the shot of the winning surfers. And a huge shout out to the group for keeping an eye out for Gloucester’ Piping Plovers! 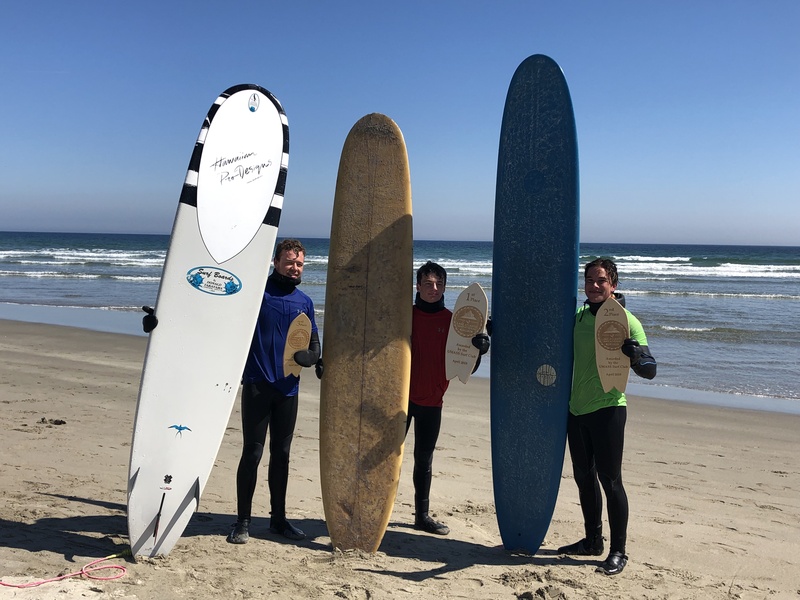 This entry was posted in Good Harbor Beach and tagged Bill Wrinn, Gloucester, Good Harbor Beach, Lake Atlantic Invitational Surfing Competition, surfing competition, UMass Amherst Surf Club on April 7, 2019 by Kim Smith.